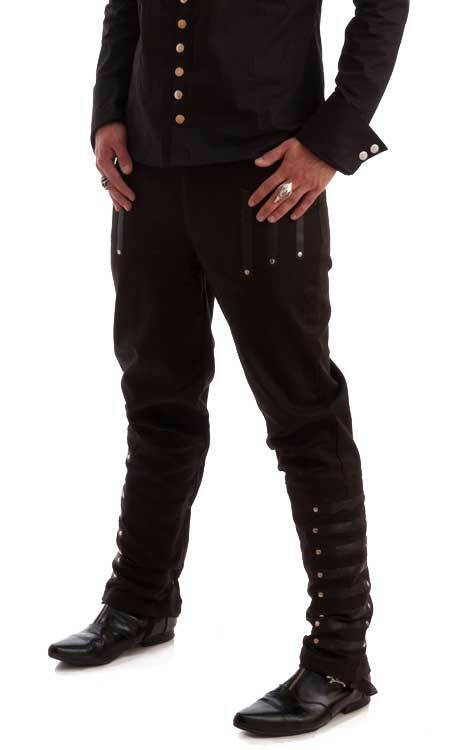 Men's Military style trousers with faux leather strap details and chrome fasteners and detailing. The material is substantial and the detail is great. Delivery was quick after I placed my order. The available sizes are limited. 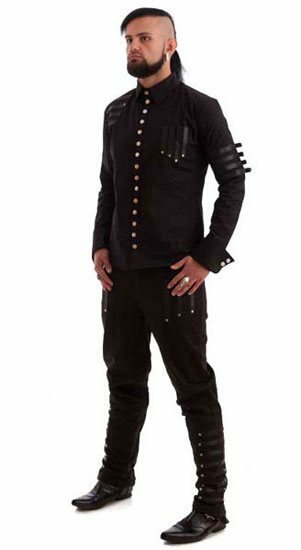 Even if you get measured for European pants before ordering, you probably will need a tailor if you want a perfect fit.